Nokia held its “Nokia World 2010 & Nokia Developers Summit” in London yesterday to introduce no less than 3 brand spanking new smartphones. Niklas Savander, Executive Vice President, Markets, delivered the opening keynote and announced that the Finnish handset makers are ready to take on their smartphone competitors. Nokia still rules the world market in terms of handset sales (smartphones and regular) but it’s been criticised for not coming up with a real iPhone competitor. This accusation is also rejected and rubbished from some quarters declaring Nokia as the first manufacturer to introduce smart features on cell phones and how it scores over the iPhone in a lot of major areas. 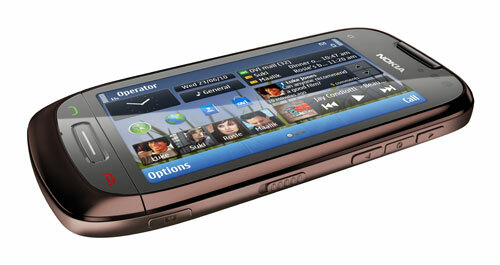 The 3 new devices unveiled at the event are the C6, C7 and E7 – all of which run Symbian^3. 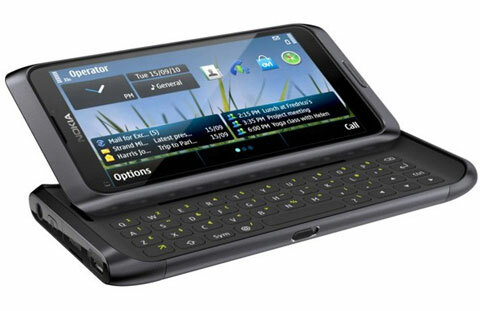 The E7 features a large 4 inch touch screen and a user friendly 4-row physical QWERTY keyboard. It’s being called as the latest edition of Nokia’s original smartphone, the ‘Communicator’. 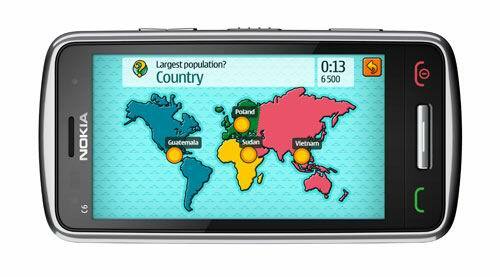 Nokia has revamped and improved Symbian and all 3 devices have the benefits. The E7 supports Microsoft Exchange ActiveSync and its screen uses Nokia’s ClearBlack technology “for improved outdoor visibility”. On first impressions it rivals the iPhone 4′s Retina Display and has 16GB of built-in storage. Price: €495 ($638) excluding taxes and carrier subsidies. The C7 was described as a “social networking smartphone” at the summit as it emphasises on social media support such as easy access to Facebook and Twitter and also pushes email alerts to the home screen. It features a 3.5-inch AMOLED touch screen display with a build that combines “stainless steel, glass and soft edges” and 8GB of built-in storage. It has 350 MB of internal memory but you can use a 32 GB microSD memory card to expand it. It’ll be priced at around €335 ($430), excluding taxes and carrier subsidies. The C6 is the most affordable of the 3 new devices and is also declared as “the best of social networking and mobile entertainment”. Featuring a 3.2-inch AMOLED touch screen the C6 once again uses Nokia’s new ClearBlack technology and has 340 MB of internal user memory which can be expanded with a 32 GB microSD memory card. It will cost in the region of €260 ($ 334), excluding taxes and carrier subsidies.